You would like to neuter your dog but you're worried about the possible weight gain you've heard other dog owners talk about? So - are the two really connected? If you’ve decided to neuter your dog you should be prepared for some subtle behavior changes, most of them desirable, such as reduced roaming. Weight gain, on the other hand, is rather unwanted but often associated with neutering. Why is that? Does neutering really lead to weight gain? Neutering is something many dog owners choose for their dog. If you’re thinking about it as well, it’s important to inform yourself as much as possible before you make a decision. You’ve probably heard that people whose dogs have been neutered complain about their dogs gaining weight afterwards. And although this actually happens in many cases, does it imply that it’s because of the operation? Or is something else leading to it? So, let’s get to the question that brought you here! Will Neutering Have An Effect On My Dog’s Weight? It’s true that some dogs gain weight after neutering, even though the operation itself isn’t directly responsible for the weight gain. Dogs don’t put on extra weight because of the operation, but can do so because of changes in diet and exercise that can come after the operation. For instance, many dog owners feel guilty for the discomfort their dog is feeling after the surgery, so they give him or her more treats and food than usual. This is not the main problem though, as this doesn’t usually last for long and things go back to normal. The most common reason behind the extra pounds is as simple as lower energy level. Namely, many dogs are less active after being neutered and don’t burn as much calories as they consume. Simple, but true! So, why is that? Why Do Dogs Become Less Active After Neutering? It’s true that neutered dogs become a little less active than before. This is explained by the change in hormones after neutering, as this means that they lose the urge to roam for a mate. These urges usually go away pretty soon after the surgery and, as a result, the dog becomes less active as the urge for roaming is gone. Considering the fact that intact male dogs are known for their hormonal drives and the search for mating partners, it’s understandable that their activity level drops when they find themselves without these drives. Consequently, the weight can go up. Does Neutering Slow Down The Metabolism? Some dogs do gain weight easier than before the surgery. Dogs that are more prone to weight problems, such as the Labrador, Beagle or Dachshund, are more likely to face a slower metabolism. However, age also has a lot to do with shifts in metabolism, so neutering isn’t usually the only reason. However, if you consider that your dog’s weight gain is out of proportion, consult your vet. In some cases, a medical disorder could be behind it, so it’s best to be on the safe side. How Do I Control My Dog’s Weight? Just because some dogs do gain weight after neutering doesn’t mean your dog will too! Having these facts about hormones and metabolism in mind, it’s up to you to make sure your pet stays healthy. You are the one in charge for exercise and food intake. A healthy diet and regular exercise are a must if you don’t want your dog to gain weight. You should make sure your dog get a balanced and nutritious diet, based on quality dog food and occasional treats. However, a good diet isn’t enough if you want your dog to stay fit. You have to provide a lot of exercise and activity as well. 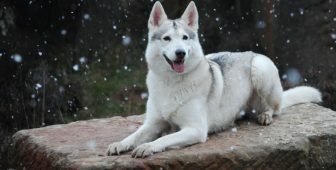 Some breeds require more activity than others, so you have take into consideration the amount necessary for your breed. If you want, you can consult your vet and put together a diet and fitness plan. The key toward keeping your dog in good shape is being honest about the calorie intake and the amount of exercise. Giving a couple more treats occasionally is completely fine, but don’t make a routine out of it. Sometimes it can be very hard to say no, we know, but it’s necessary if you don’t want your dog to put on unwanted weight. The bottom line is – neutering isn’t responsible for the weight gain, it’s the reduced activity or the increase in calorie intake. All of which you can control! A couple of extra pounds are not a big deal. However, if the weight gain gets out of hand it can cause severe problems. Unfortunately, this is a big problem nowadays, for humans and for dogs. First of all, carrying too much weight puts a lot of tension and strain onto dogs’ joints. Second, the extra weight can lead to harmful medical problems, such as liver issues, respiratory disorders, high blood pressure, heart disease, constipation, cancer and diabetes. Finally, obesity usually affects the dog’s longevity and cuts your dog’s life shorter. This is the last thing you want, so take your dog to the vet and figure out a plan as soon as possible. It’s possible to turn things around! Having said all this, let’s take a look at why neutering can be a good idea. You can also check out the video below for more information. Many dog owners choose to neuter their dog, and it’s not without reason. Neutering can lead to a lot of good things and desirable behavior changes. Let’s take a look at the most common ones! As mentioned, intact male dogs tend to roam a lot because of their hormones. They are driving the dog to look for a female dog in heat. When a dog is neutered, these urges disappear and reduce the roaming. As a result, the risk of getting hit by a car and other risks are reduced. Male dogs tend to pee on everything, as this is their way of marking the territory. This behavior is also driven by hormones and can be reduced after neutering. However, if you neuter your dog when he’s a bit older it’s possible that the marking has become a habit. On the other hand, if you do it sooner, the marking will probably stop, or not even begin. Intact dogs tend to be more aggressive than neutered dogs. A lot of dogs that get neutered often become less aggressive than what they were before. Of course, this doesn’t mean that a very aggressive dog will become really calm after the operation, but in general it does decrease the aggression. However, it doesn’t mean that neutered dogs can’t be good guard dogs – aggression has nothing to do with guarding. It’s a fact that some dogs put on extra weight after neutering. However, it’s important to keep in mind that the weight gain isn’t directly linked to the surgery. It’s what happens after that can make your dog gain weight. Namely, dogs loose their urge for roaming and searching for mating partners after being neutered. These urges are driven by hormones and therefore disappear after the surgery. As a result, the dog becomes less active than before. A change in metabolism is also possible, especially with some breeds. Because of the reasons mentioned above, it’s vital that you control your dog’s calorie intake and provide with regular exercise. You as a dog owner are responsible for keeping your dog healthy and happy, and luckily, this is a situation you can control. Neutering can have a lot of benefits, such as reduced aggression and roaming, so if you choose that for your dog remember you can control the possible weight-related downsides. To sum it up – it doesn’t mean your dog has to put on weight after neutering just because some dogs do. Make sure your dog burns more calories than what he consumes and everything will be fine! My Dog Ate Grapes: What Should I Do?